Welcome to our seventh edition of OZ-Escapes! We thank you for your interest in OZbedandbreakfast.com. This newsletter is designed for you, the traveller, to plan your perfect bed and breakfast getaway. There has never been a better time to get away with over 106 new B&B's joining in the past 60 days!! Thanks to all of our users who have sent in comments and feedback about our site. We are indeed listening to your comments. 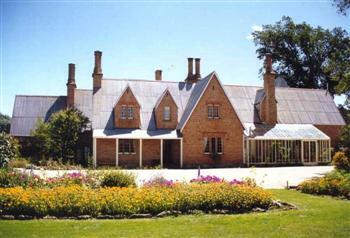 Come and see the new site at http://www.ozbedandbreakfast.com. Deal 3: Gingerbread Chalet, VIC - Swiss Cheese Fondue for two! Deal 4: The Laughing Clown, WA - port, chocolates, Margaret River wine! We continue to promote our site to the Australian public and have been quite successful of late. 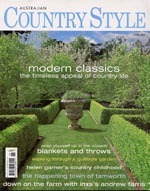 Check out this month's Australian Country Style Magazine. A great little article featuring some of OZbedandbreakfast.com's unique styles of accommodation. If you missed our latest coverage in the Sunday Herald Sun, June 9th, check out the Press Room for more details. OZbedandbreakfast.com is proud to present over 20 spectacular B&B properties for sale. If you have ever thought about owning your own B&B, take a look at our For Sale section. Feel free to contact the owners. They will be more than happy to discuss with you the joys of owning and operating your own B&B.